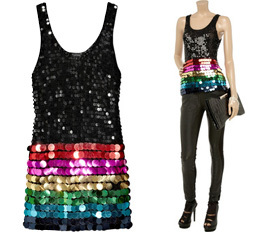 This super sparkly Sonia by Sonia Rykiel sequined open-knit tank top just caught my magpie eye on The Outnet. It's £64.50 from £215 which is a whopping 70% off. 7. It's ever so snazzy. I absolutely do not need it but I think I've justified it well? Help me.